Become A Stella and Dot Stylist! 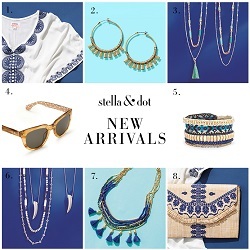 Have you ever thought about becoming a Stella and Dot stylist? Well, now is your chance! Right now you can join for as low as $199 and that includes over $750 in free accessories. You can even earn a extra $300 in accessories when you sell $1000 or more in your first thirty days! I am sure you all have tons of friends and now you can have awesome girl's night out parties to find cute styles for everyone. Now is the time. Sign up to be your own boss, get amazing accessories to show off to all of your friends and soon you will be well on your way! This is also a great way to earn extra money, it could be a part time or even a full time job! I know I love being able to stay home with my daughter and I am sure you would love to have less stress in your life. Buying a mattress can be time consuming, and can be a major headache! Believe me, we recently went looking for a new mattress and they all want to sell you the most top rated ones, that cost a ton that come with bells and whistles but you also have to pay for delivery. I just wanted something nice to lay my exhausted body on. 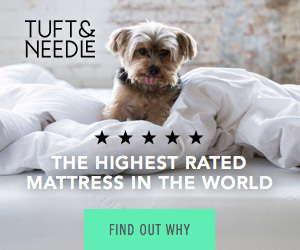 Tuft &Needle are changing the status quo for buying a mattress. With Tuft & Needle I can shop from my own house, in my pjs with no sales people jumping all over me pressuring me to buy this or that. You also get a 100 nights where you can decide if you like their mattress or night! Score, right, no pressure, no headaches and if you don't like it you can return it. They are designed and made right here in the good United States of America, so you can help support your local economy. They use a stay cool fabric that comes from textile mills right here in the Carolina's! The sizes vary from twin all the way to a California king so there is something for everyone. They are also really affordable around $350.00. They also ship for free (excluding Hawaii and Alaska) and arrive nicely packaged. You aren't going to want to miss trying out this new buying experience when it comes to picking out a new mattress! Gymboree's New Line of Baby Gifts! I have an amazing little girl, so frequently I find myself buying new clothes and searching for new styles and Gymboree has some of the cutest clothes out there. They have launches a new line of baby gifts and trust me when I say that they are too precious! The daddies are for hugging onesie is so precious and is something, I would love to have for my own 1.5 year old. I love the colors and how great they are for spring. This onesie is also lightweight and allows your baby to breath. It is machine washable and has a snap closure. This next one is a zebra bib! It is gender neutral in my opinion and would be great for any little to keep the drool or food off and still remain stylish. This is machine washable and has a touch closure clasp. The last but certainly not least of all my favorites are these cute pants! I love their bright designs and the fact they are great for the warmer weather, but will still keep little legs warm, if it gets cool. These are easy to pull on and machine washable. 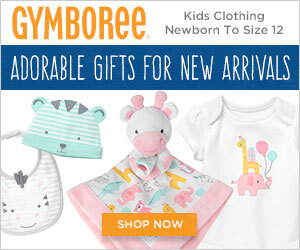 Gymboree currently has all of these great products on sale for 30% off! FTC: I may be compensated for any purchases made by purchasing through my links! 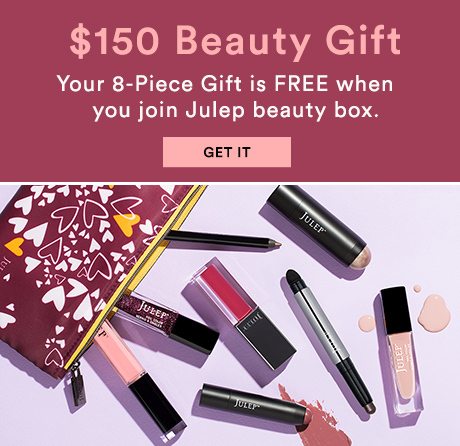 Get a free $150 Beauty Gift when you join Julep beauty box! The gift features eight full-size beauty products (see list of items below) plus a super cute cosmetic clutch - what a deal! This is Julep's highest-value new subscriber offer to date, and it will only last a few weeks so get yours today. When you join Julep beauty box, you'll get access to the only full-size and fully-customizable beauty box subscription on the market, so you get what you want in your box every month! To redeem your $150 Beauty Gift, add the gift to cart and use code COLOR8 at checkout. Get your $150 Beauty Gift today! Use promo code COLOR8 to get your free gift when you pay for your first month of Julep ($24.99). Julep is the only customizable subscription beauty box that makes all of their own (full-size!) products . That means no surprises, no dupes or colors you don't like. Preview what will be in your monthly box and swap out any colors/products you already have or don't want.